Shalom is a Christian home for “at-risk” teenage girls and young women located in La Ceiba, Honduras. Most of the girls come from extremely poor rural areas of the country where cattle farming, oil palm plantations and sadly, the illegal drug trade dictate the economy. Some of the girls are victims of physical or sexual abuse. Some were orphaned by HIV/AIDS, some needed to be sheltered from severe and never ending poverty and a spiraling decent to nowhere. The risk of abduction into human trafficking and sexual slavery is very real in rural Honduras. Being a pretty young Honduran girl can be a detriment. At Shalom, the girls are kept safe and protected while growing to be self-assured and confident adults. Once safe and secure, education can become their goal. Most importantly, they are given the chance to pursue their educational goals and dreams in a nurturing Christian environment. There are many Shalom girls who are now teachers, nurses, artists, computer specialists and more, even a physician. For many of the girls, coming to Shalom is the answer to lifelong dreams and prayers. By living together in a large family group, the girls become cheerful and kind teenagers and mature into responsible and caring adults. The cost of education has skyrocketed in Honduras. Funding education for the girls is now the largest expense at Shalom. Unlike a few years ago, most Shalom young women now enter the Honduran university system and work to receive a college degree. In addition to successful completion of her college courses, each girl must also serve her country with a year of Social Service in her chosen field. This is required of all Honduran students. Shalom girls have been funded and sponsored by members of AHMEN, the Alabama Honduras Medical and Educational Network, for almost 20 years. Rising costs now require us to seek assistance from other sources to continue our work. We have never refused to help a girl who wanted to reach out for her dream. We will be there to help her if she is willing to put forth the effort involved . Please help us continue our tradition of enabling and empowering young women to be the future leaders of Honduras. Our goal of $2500 is just a start! This will be a long and expensive school year. AHMEN plans to be with Shalom for many more years. 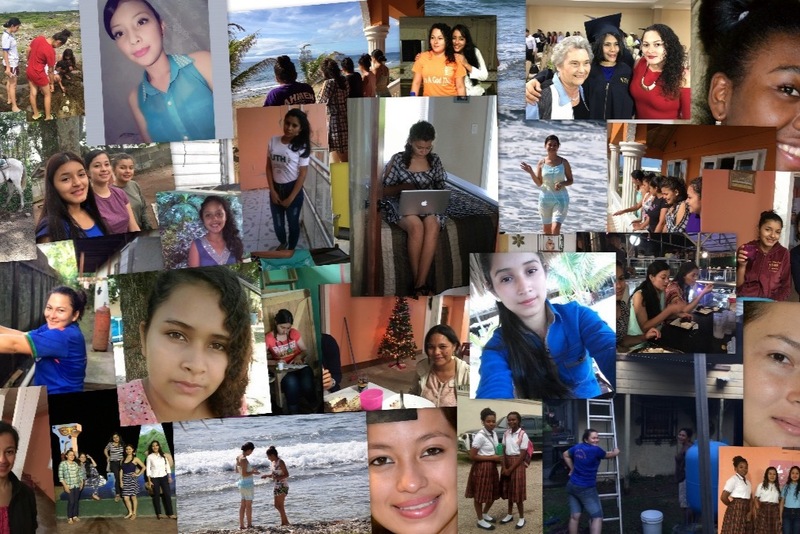 With your help we can continue to bring out the very best in these young Honduran women. Please assist AHMEN and the girls at Shalom with a generous donation toward educational expenses.